So, after the show was off the air, they tried to bring it back with a movie. “Doctor Who the Movie.” It is pretty bad, pretty much the only redeeming qualities of this film are Paul McGann as the 8th Doctor and Sylvester McCoy appearing before he gets killed as the 7th Doctor. The Master is the bad kind of hammy and none of the Doctor’s companions are worth mentioning in this, beyond the fact that they are terrible people. 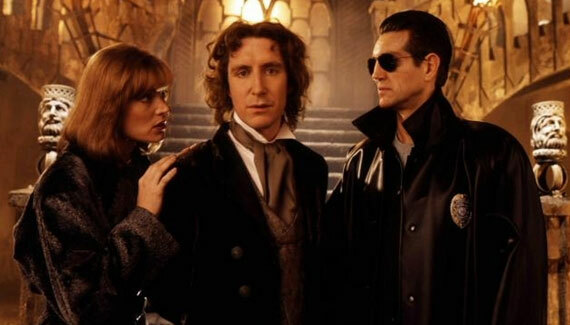 This is a tragedy too given that Paul McGann owns this role and really deserved a series as the Eighth Doctor. 5 / 10. Was a bad action movie elevated by Paul McGann and Sylvester McCoy. Things didn’t start out well for this series, they started out okay, but not great. 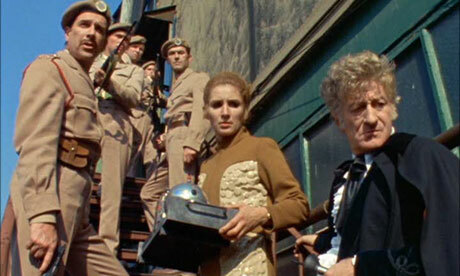 The “Doctor Who” Pilot begins with two teachers talking their student Susan until they meet her strange Grandfather who kidnaps them because he doesn’t want to be revealed to Earth. 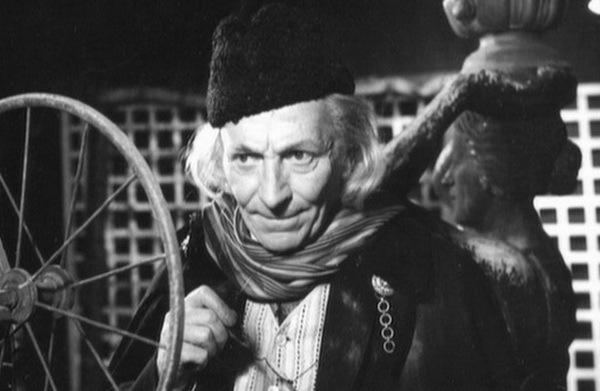 He is great as the gruff Professor type but the teachers and Susan aren’t very good and the Doctor played by William Hartnell isn’t given enough to do. This should have been a longer episode. 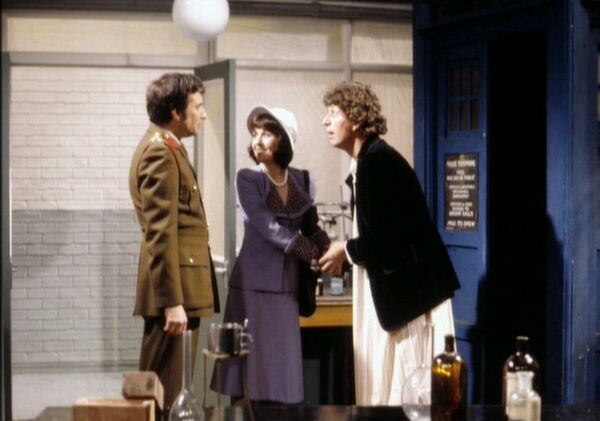 Tom Baker is a fantastic Doctor, and Sarah Jane Smith is a great companion…it is a shame the episode they appear in together for the first time doesn’t get to use their talents fully. The episode tries to be a morality play with The Robot of the title but the organization that wants to kill everyone is not fleshed out really well and in the process, the Robot they created isn’t either. There are a lot of good ideas here, they just aren’t fully realized. Seeing the Brigadier in action along with Harry is another plus though. David Tennant was my first Doctor and the one who got me into my love of “Doctor Who” as a whole, both the new and the classic. His episode is good but it has a major problem. The companions are useless and the Doctor is a super hero who must save them and the world. I hate this…part of what makes “Doctor Who” so great is the fact that the Doctor needs his companions, if they aren’t used, it would be better if they never appeared in the episode at all. I still recommend this episode though, even with this big problem. This episode for me, had the same score has “Castrovalva.” What makes it better slightly and why it rated higher on this list is the lack of Adric and a slightly more coherent plot. In this episode we see the Doctor with UNIT face off against the Autons sent by the Nesetene Consciousness to take over the world. It is here we see him with the Brig and Liz having to invent things to stop the Nestene and to investigate to find out that the Nestene is behind all the issues in the first place. It is a lot of fun and well worth a watch. Jon Pertwee is amazing. 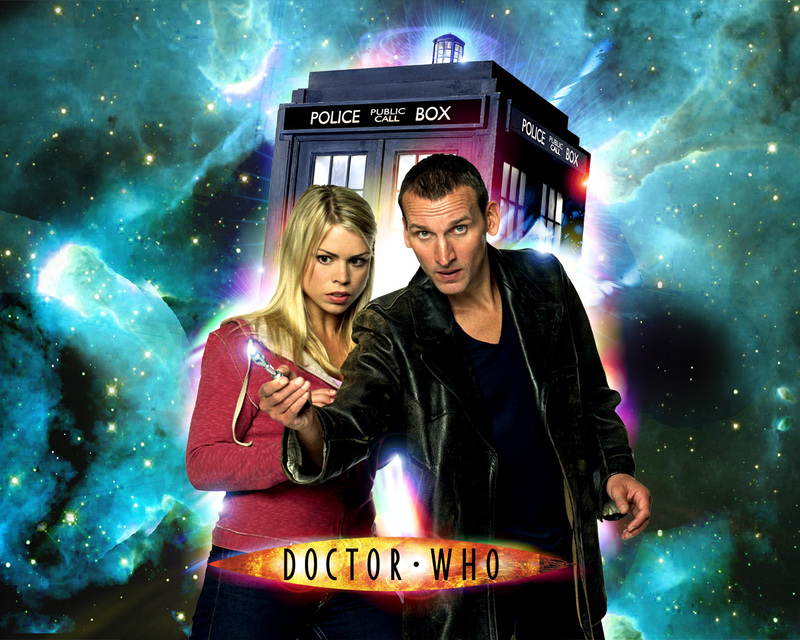 Christopher Eccleston is fantastic and Rose is a great companion on her first outing. She works with the Doctor and we get to see a great Doctor and companion dynamic. This is also the first Post-Time War Doctor, and it shows. Eccleston does the PTSD Doctor so well that you can see how driven he is to save lives. He gives the Nestene Consciousness a chance and he has some great strategies for trying to stop the Auton invasion from the Nestene. 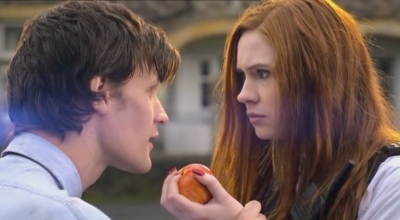 Also Rose is a great character and very worthy of the companion role. She embraces the adventure, even with having a life and reasons to stay. I highly recommend this episode. This was an episode that nearly made the Top 3. There is only one factor that keeps it from being there, and that is the consequences the Rani forcing a regeneration into the 7th aren’t fully explored. 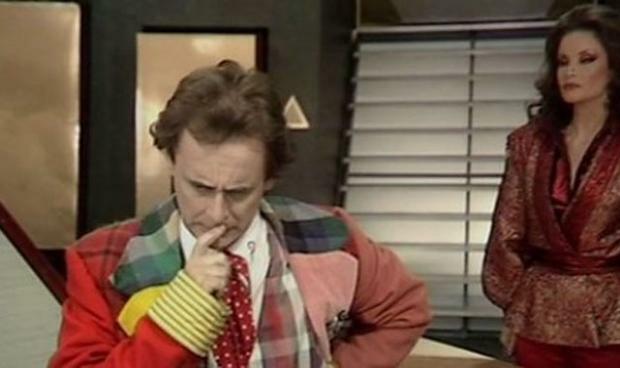 It is a great episode, and one of my all time favorite “Doctor Who” episodes…both because of the Rani played by Kate O’Mara and Sylvester McCoy owning the role as the more wizard like Doctor (and the costume designs and alien civilizations are fantastic). Her plan is pretty cool and it takes a lot to defeat her in the episode. The thing that doesn’t really help it though is the fact that Mel isn’t all that memorable as companion. She is okay and has personality but isn’t as memorable as some of the ones before. Still a favorite that I very much recommend. This is the episode I just saw today, and it is amazing. It makes the top 3 for a few reasons. 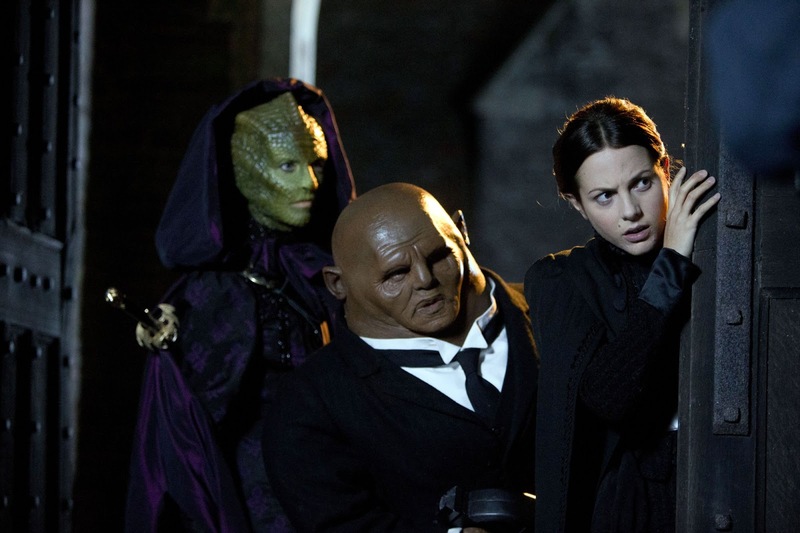 The biggest being Clara is finally a human being and an interesting companion (we see her trials as a teacher and trials with the Doctor), the Paternoster Gang (Vastra, Strax and Jenny) are great and we get to see more of their dynamic and how they grow with Clara and the Doctor, the villain of The Half-Face Man and Peter Capaldi as the 12th Doctor. There is a lot to love, the only issue is how everyone keeps bringing up Clara and having a romantic partner. How many times does she have to say she wasn’t and isn’t interested? Can’t that be respected and why was that written in? 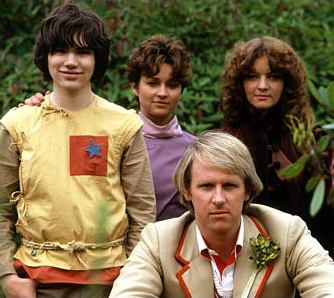 Besides that, great story and one of the Top 3 First Adventures of the Doctors. This is one of my favorite episodes for a reason, and it’s one that you can only watch via audio, pictures and what little film remains…it is worth it though. In the link I post you can see some of the recreations that fans did. This episode is great because it shows the Daleks manipulating humans against each other and only arriving when they’ve pretty much won anyway…Polly and Ben each help the Doctor in their own ways and the Patrick Troughton is a great Loki like Doctor. He is the trickster who manages to manipulate his way in a position to help by playing the buffoon. This is one of the best “Doctor Who” episodes and one of the best Dalek Episodes as well. This episode really establishes why they are so dangerous. I highly recommend watching the footage and audio of the full episode to really get apprecation for this Doctor, the Daleks, Polly and Ben and this story. This is the episode that is the best of the First Adventures. 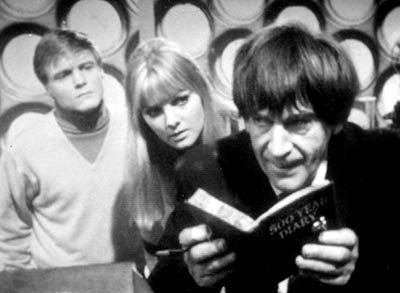 The reasons for this are it establishes the Doctor as a Time Lord and time traveler (visiting Amy as a child and an adult and not being aware of the time change) a great baddie who plays with your mind (Prisoner Zero in the corner of your eye…the boogey man of childhood) and continuity (when facing the Atraxi they can the Doctor and find all his past numbered incarnations in their data bank as defenders of the Earth). It is wonderful and Rory and Amy are great companions. The Doctor isn’t a super hero and actually needs their help since it is only together they win. For people new to “Doctor Who” this is generally the episode I recommend. It is also visually amazing. This Doctor, is pretty cool. 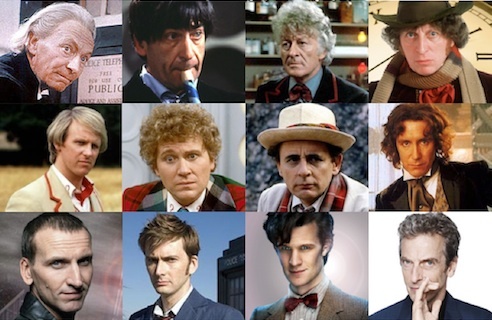 “Doctor Who” both Classic and New is an amazing series and many of these episodes capture the good that this show can bring…whether it is wrestling with morality, showing us the good in ourselves or just being fun it is a series that I believe will remain timeless. I look forward to reviewing more “Doctor Who” episodes later on, but until than it was fantastic and I can’t wait to see what the new Series 8 brings to this very rich universe. Speaking of which, this episode was written by Steven Moffat who is still the current showrunner, much like Davies was through the 9th and 10th Doctor. Ben Wheatley directed the episode and Nikki Wilson produced it. This will be a SPOILER review, so warning. It is hard to talk about the Doctor and characters without giving away what happens. The story begins with the TARDIS being swallowed by a Tyrannosaurus Rex and accidentally transporting it to Victorian England where the story takes place. The 12th Doctor has just went through being given new regenerations and is not all there, and Clara his companion doesn’t know what to make of him. From here the story unfolds as Vastra and her Paternoster Gang (Strax and Jenny) try to solve why people have been exploding all over town after the Tyrannasaurus Rex is exploded too, all while trying to help the new Doctor find his bearing and stop the crimes. 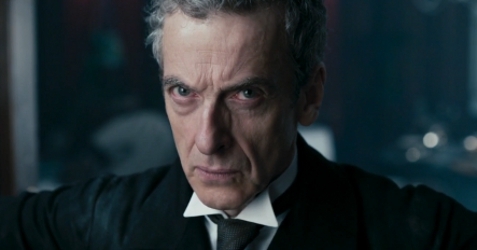 Pros: The 12th Doctor / The Twelfth Doctor – Peter Capaldi is fantastic in this role. His Doctor has the manic and egotistical without being hurtful and cruel. You see his heart shine through on multiple occasions, such as mourning the Tyrannosaurus Rex that was killed and his connecting with Clara over the course of the episode. He’s the Doctor who was aware he was young and is also aware that he’s cheated. “I’ve made mistakes, it’s time I start correcting them.” This sums up the 12th Doctor in a nutshell and he is brilliant. Peter Capaldi owns this role and is well deserving of the mantel of the Doctor. Also, he loves dinosaurs. Clara – Clara is someone who for much of this series has existed as a meme and some of the worst of Steven Moffat’s writing. She’s “The Impossible Girl” whose destiny it is to save the Doctor. That isn’t really a character, or at least not a human one…that is the idea of a character. We finally get to see a Clara that isn’t all whimsical and actually feels like a human being and companion! At one point she crosses into a room where she feels overwhelmed and where Clockwork Droids are around her…you see her as a teacher (which wasn’t established until “Day of the Doctor” really) and her being overwhelmed. We also see her questioning what her relationship is to the Doctor and what it means…and she does great! I can genuinely say I like Clara after this episode, when before there wasn’t much to like or dislike. The Paternoster Gang – I love this group. Mostly because Vastra and Jenny are such a great couple. They were actually there to show what loving someone who isn’t human is like since Clara was dealing with the fact that Eleven might have felt for her in that way (which the 12th Doctor apologizes for). Vastra is also there in an advising role and she is fantastic! She is one of my all time favorite characters in “Doctor Who” and her story has been handled much better than how Harknesses was butchered in “Torchwood.” All of them have roles, except for Strax who is a good fighter but mostly comic relief, honestly he isn’t needed. At one point we even see them ready to take Clara onto the Team after the Doctor has disappeared. It is quite cool and they have a great character arc. They grow into accepting Clara and helping her accept the new Doctor. The companionship and marriage between Vastra and Jenny is contrasted between the friendship and companionship between The Doctor and Clara. They have a great standoff against the Clockwork Droids too near the end. 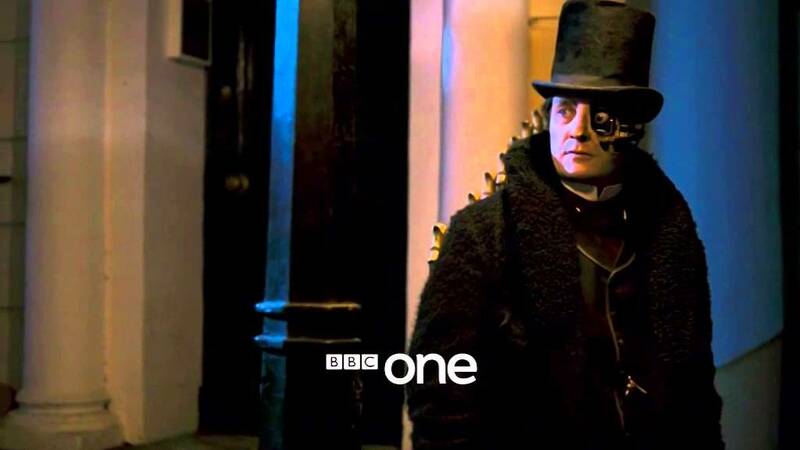 The Half-Face Man – Is the leader of the Clock Work Droids (think the episode “Girl in the Fire Place” also written by Moffat) who are trying to fix their ship and themselves and reach Paradise. They do this buy capturing humans and taking their organs, they also do this to the Tyrannosaurus Rex to help repair their ship. He is a great baddy is creepy as he uses his restaraunt as a front and is human, he speaks as an individual and is compelling enough that your left wondering if the Doctor convinced him to take his life since he knew what he was doing was wrong to reach Paradise. I like that. 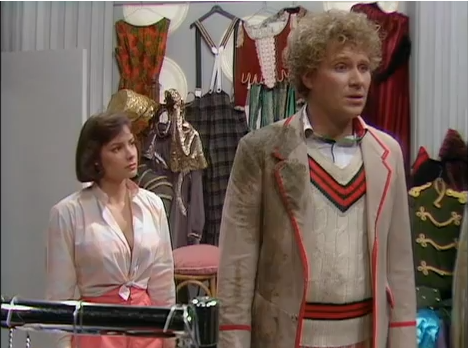 We later see him speaking to a mysterious Mary Poppins lady in “Paradise” who calls herself the Doctor’s girlfriend. It is cool and continues the mysterious creepiness of the episode. I liked him as a bad guy, he was a robot doing everything to fulfill his orders to repair the ship but was seeking paradise because of the humanity he’d implanted into himself. It was very well done. 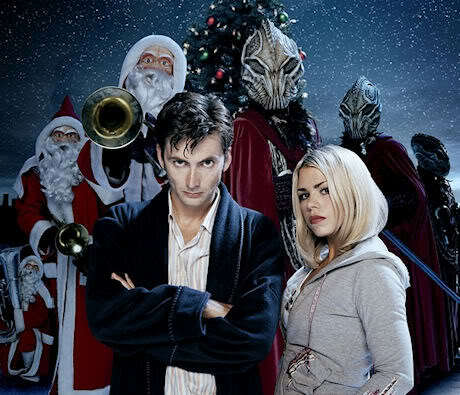 Okay: The Music – The music is alright, not nearly as memorable as “The Eleventh Hour” soundtrack though. It was more neutral in regards to this new series. The 11th Doctor Calls Clara – I honestly didn’t know what to think of this. How would Eleven know he’d become Twelve? Did he remember “Day of the Doctor?” This part was confusing, but touching…but because of the confusing bit, can’t really call it a pro. Con: Clara and the Boyfriend – This point was brought up way too much, from Clara saying that Vastra is jealous of her for having the gall to think she liked the Doctor as lover (When Vastra is questioning her on why she is being so standoffish to the Doctor), to the 12th Doctor saying “Is your boyfriend calling?” When she gets a call from the Eleventh Doctor at Trenzalore….it was annoying. We get it, you don’t need to bring it up all the freaking time. She wasn’t interested in the 11th Doctor and isn’t interested in anyone currently. I highly recommend this episode. Definitely in the Top 3 First Doctor Adventures (which I’ll write my list rating them all together later). It is fun, the enemy is interesting, the Paternoster Gang is always fantastic, even in episodes that aren’t great and Clara is finally a good companion…Also Capaldi owns this role. It is worth it just to see his unique and fantastic take on the Doctor. Final Score this episode is 9.3 / 10. Here is to hoping that the rest of Series 8 can hold up as well as this episode did. 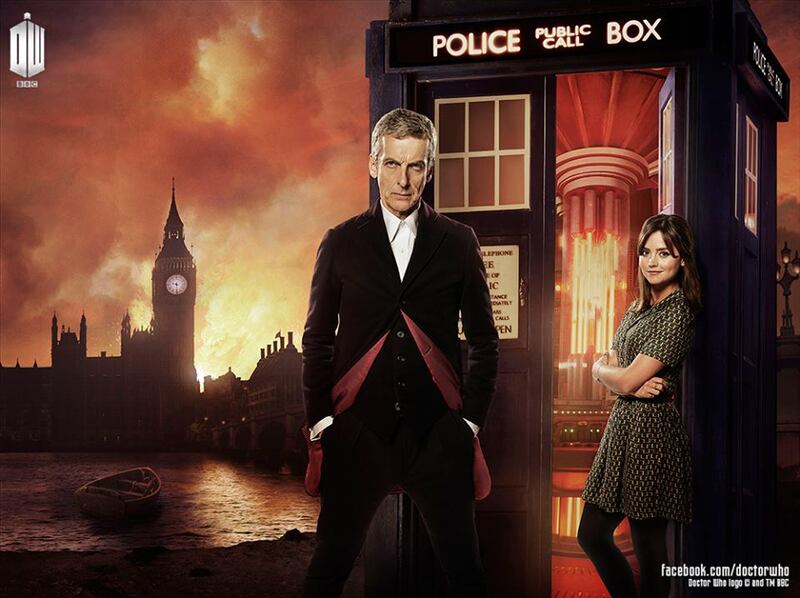 The 12th Doctor and Clara deserve a great season.